A Senior Partner of Parangon Partners, Pedro specializes in banking and financial services employing his in-depth knowledge of the sector, as well as leisure and entertainment, real estate, and the automobile industry. Pedro has extensive experience in banking as he was Director for America at the International Division of Banco Atlántico, and was later appointed Vice President for Southern Europe for the Financial Institutions Group of Citibank N.A. in New York. He has been involved in executive search consultancy since 1987, first with Progress Consultores and later with Asset Executive Search up to its merger with Parangon Partners in 2004. 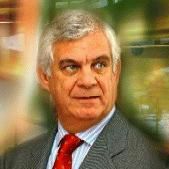 Pedro holds a degree in Law and Economics from the Universidad Pontificia Comillas (ICADE) as well as in Senior Management (PADE) from the Instituto de Estudios Superiores de la Empresa (IESE).